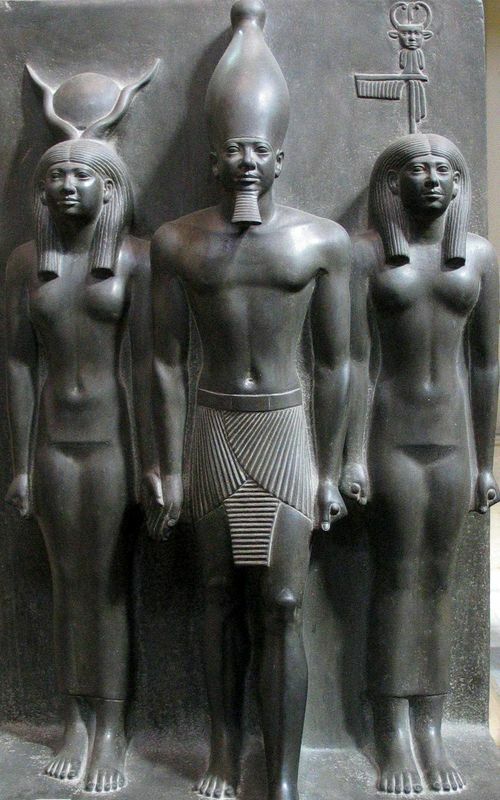 Menkaure is a pharaoh who ruled in the middle of the third millennium BC, from 2490 to -2473. 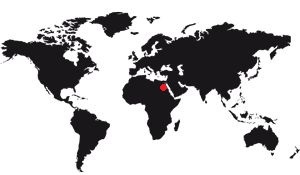 These dates are not necessarily exact, there is too much time passed since his reign so that the dates of reign of these distant pharaohs are precise. But if several specialists offer their dates, they are never far apart, so we can say that Menkaure reigned at that time, a few years. 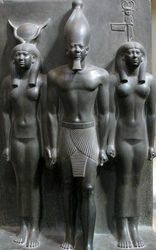 Menkaure was the eldest son of Pharaoh Khafra, his predecessor, and Khâmerernebty I. Married to Khmerernebty II, he had only two children, a son named Chepseskaf who will succeed him, and a daughter, Khentkaous I. Menkaure was also the grandson of Khufu. We do not know nearly everything about Menkaure' actions as a pharaoh. It is a common state of affairs for those kings of the first dynasties whose course it is difficult to trace. 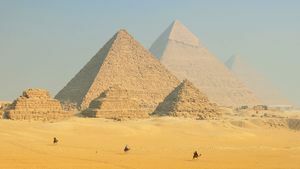 The main event is the construction of his tomb on the plateau Giza, the famous pyramid of Menkaure, since it is to him that is attributed the smaller of these three pyramids. We can see on his pyramid that the temples associated with him were built with great precision. Block joints of several tons are often paired with such precision that some joints are almost invisible. It probably means that this period was a lavish time for the Egyptian people. He reigned 21 or 22 years, it is a consensus between the various specialists. Indeed, it is very difficult to trace the exact reign of a king who lived in such a distant time, the different sources that have been analyzed show that Menkaure would have reigned from -2494, but that remains an approximate date, the different archaeologists who have followed one another over the course of history who have proposed dates that are sometimes very different. During his reign Menkaure continued the tradition of appointing members of the royal family as high-ranking officials. When he died, probably around 2473, his son Chepseskaf succeeded him. He will be the last pharaoh of the Fourth Dynasty, just as the father of Khufu was the founder. It should be noted that Menkaure died while his pyramid was not over. Not that it was supposed to be higher, but the facing was still polishing, which can still be seen today: The stones of the facing are smooth to a certain point, then they are clearly curved! It was in 1837 that the archaeologist Howard Vyse discovered, in the tomb of Menkaure, a magnificent basalt basin and an anthropomorphous coffin (which has a human form). He managed to extract it and sent it to the British Museum to be exposed ... but the ferry boat sank off the coast of Spain, and the wreck was never found, the tank is somewhere in the Atlantic! Unlike his grandfather Khufu Menkaure has quite a number of statues and high-reliefs that allow us to see him. The most famous of these representations is the triad, a high relief depicting Mykérinos, with the goddess Hator at his side and a personification of a name (a province). There are four triads, three are at the Cairo Museum, the fourth is in Boston. The representation of the name is different each time, which makes specialists say that there could have been thirty triads, one per name. Menkaure is the Greek name for this pharaoh, it is the one that is used in the Francophonie. 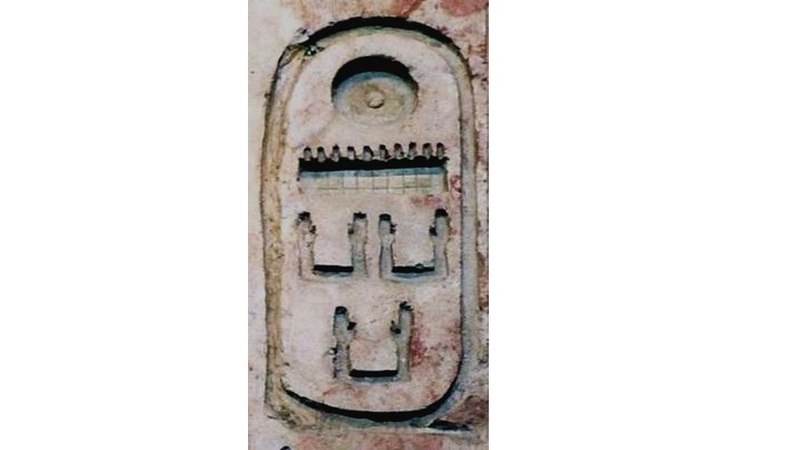 The Egyptians call it "Menkaure", its hieroglyphic name. It is also known as Menkaura or Menkaure. His cartouche is represented above, but like all the pharaohs of that time he had several names, so there are different cartridges to designate it.